The residents of Louisiana never know what will attack them next: floods, hurricanes, even monstrous swamp rats. 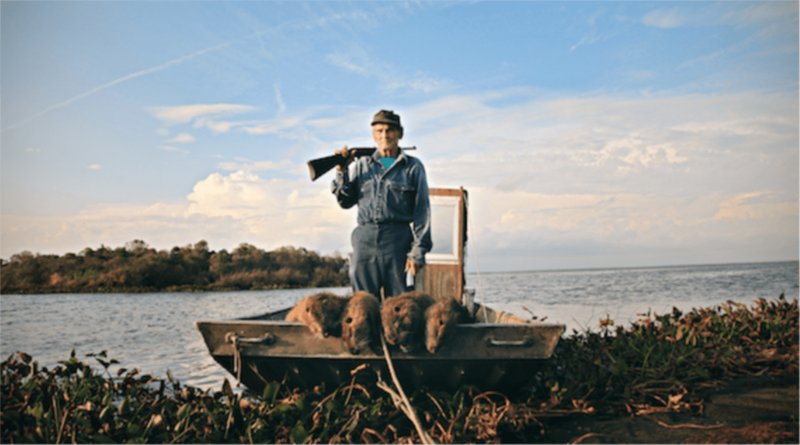 Gigantic orange-toothed nutria are eating up the coastal wetlands, destroying the landscape, and threatening the very existence of the human population. This invasive South American species breeds faster than the roving squads of hunters and trappers can control them. But the people who have lived here for generations are not the type of folks who let their land—and their livelihoods—recede into the Gulf without a fight. Meet fisherman turned bounty hunter Thomas Gonzales and a pack of colorful diehards as they defend their land, culture, and way of life against the unforgiving forces of nature. It is man vs. rodent. May the best mammal win. Screening as part of Stranger Than Fiction's Fall 2018 season.